A basket, a puzzle, a piece of art! 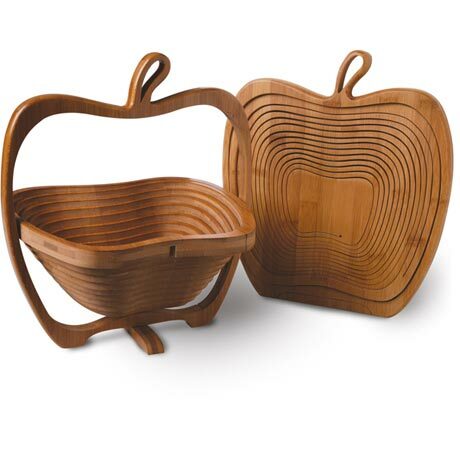 Made from renewable bamboo, the handsome basket stores flat and looks like a breadboard. Stand it upright, flip the center section down, lift the edge, and it becomes a spacious container for fruits, veggies, or other items. Food safe. 10 1/2" x 11 3/4" closed; 10 1/2"w x 12"h x 9 1/4" open.